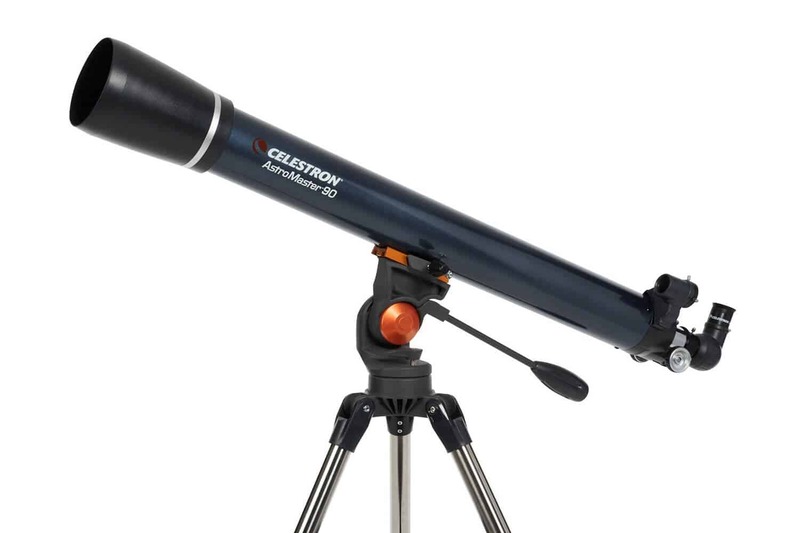 The Celestron AstroMaster﻿﻿ range is their entry level group of telescopes. The seven models in the table below have small apertures and small budgets. 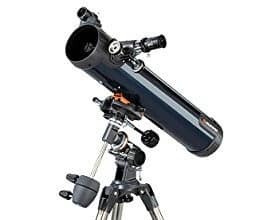 Easy to setup and use, they will show you or your children (AstroMasters are an ideal kids telescope) great details of the moon, the rings of Saturn, bands of Jupiter and other brighter night sky objects. The telescopes in this chart are in order of increasing aperture. The chart sets out seven available models. Cheapest is the ever-popular 70AZ and most expensive is the 130EQ-MD. The 130mm aperture models offer 3.5x the light gathering power of the 70mm model. Thankfully, you won't 3.5x as much (reflectors are cheaper to make than refractors)! Expect the 70mm AstroMaster to cost around $120 - $140 (click here for current price). The 130mm model is around $100 more (click here for the latest price). AstroMaster reflectors are classic Newtonians (learn more ﻿﻿here) mounted on equatorial mounts. 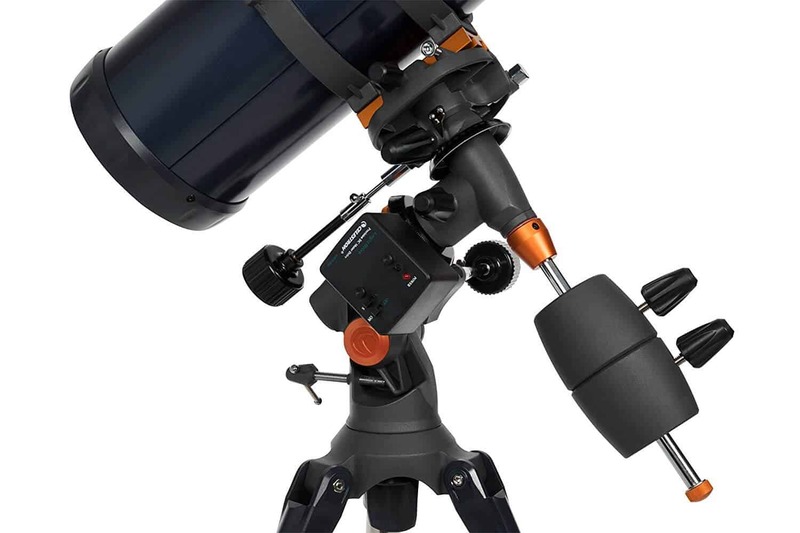 The 70mm and 90mm refractors are available with either an altazimuth or equatorial mount. 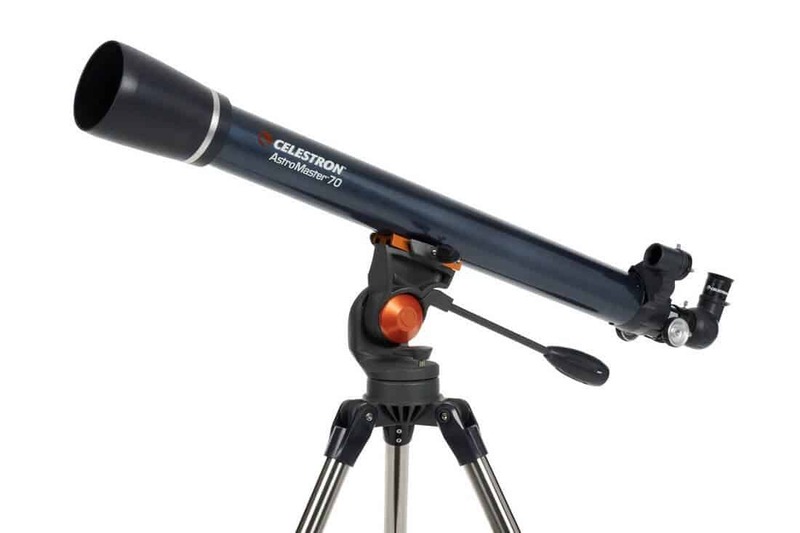 Celestron's AstroMaster telescope range is their entry-level. 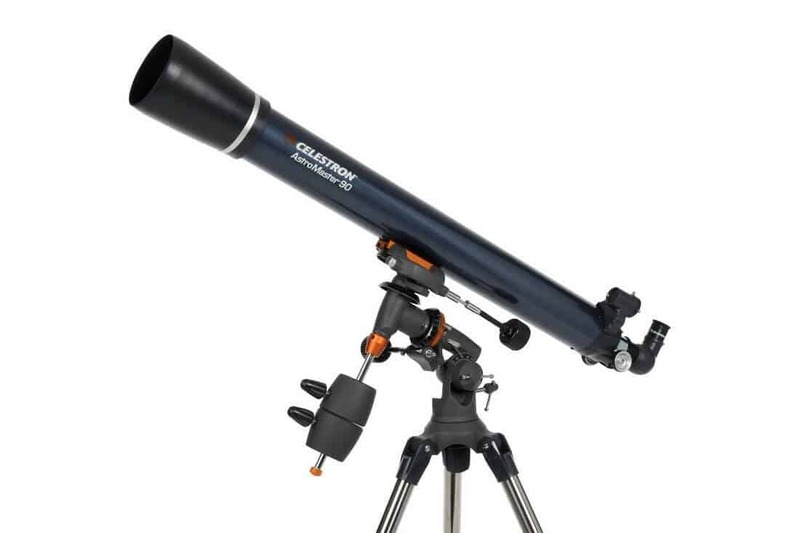 These are low priced but decent quality telescopes aimed squarely at the beginner astronomer. There are none costing over $300 and the cheapest (the 7﻿﻿0mm A﻿﻿Z) is well below $150 (click here for the latest AstroMaster prices). Like many things in life, though, you get what you pay for. The biggest disappointment of new astronomers is not seeing what they expected to at the eyepiece. These scopes will give you great views of the moon and brighter planets. But, deep space objects like galaxies and nebulae will be much harder to see, and almost completely out of reach of the 70mm and 90mm options. If you fit in either of these groups then perfect! The AstroMaster may just be the solution you're looking for. If, however, you want to immerse yourself in deep space astronomy, or astrophotography, then you'll need to adjust your budget. The AstroMaster range is not for you and will only disappoint. Take a look at our short article How Much Does a Telescope Cos﻿﻿t to get an idea of what you might have to spend for the type of telescope you'll need. Now you know that AstroMaster range is for beginners and kids, let's take a look at the different spec's and what you can expect from each of them. We'll look at each group in detail below. The 70mm AstroMasters are the same refractor scope. The 'AZ' is mounted on an altazimuth stand, whilst the EQ is set on an equatorial mount. In the case of the 76EQ, it is a Newtonian reflector mounted on an equatorial mount. 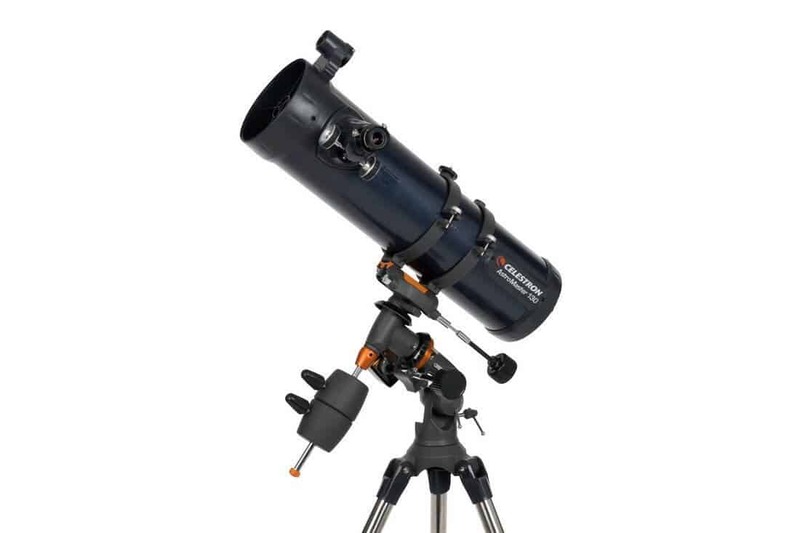 The 70mm refractors can be bought with an altazimuth or an equatorial mount. An altazimuth mount is one that moves up/down and left/right in any combination you want. Think of this as a 'point and shoot' kind of telescope mount. To use it, identify an object you want to look at then simply point the scope in that direction. An equatorial mount needs more setting up than an altazimuth. Its left/right direction runs parallel to Earth's equator, which is tilted at 23.5° from horizontal. Why is this useful for an astronomer? 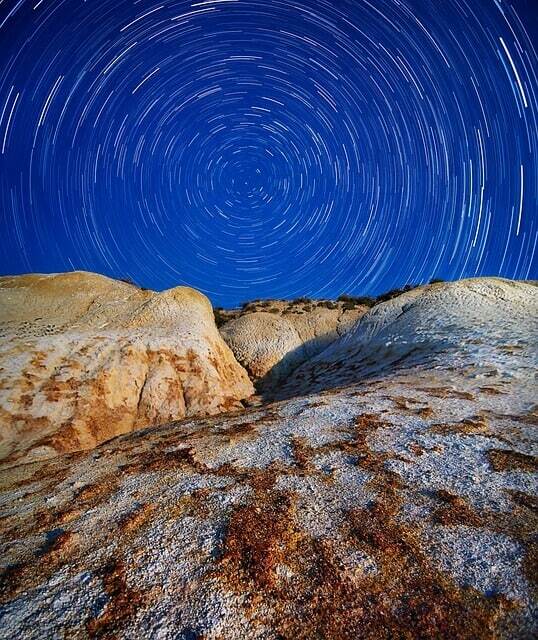 Well, because of that 23.5° angle, stars and planets appear to move in a circle above our heads. They do not move in straight lines. When you set up an equatorial mount properly, it follows their circular path. This makes astronomy so much easier! Once you have an object in your eyepiece, you only need to move your telescope in the left/right direction to keep there. An altazimuth mount does not take account of Earth's rotation, so you'll need to constantly move the scope left/right and up/down to keep an object in your eyepiece. In our opinion, altazimuth stands are great for kids and the very casual beginner who just wants to see the moon, Jupiter and Saturn. If you think you might really like astronomy (as we hope you will!) then go for the equatorial mount. Once you move past the learning curve of setting it up, you won't look back. If you accept that 70mm (less than three inches) is not a big enough lens to show you any faint objects, then you are going to like this little scope. Buy the AstroMaster 70AZ or 70EQ knowing that they will only provide great views of the Moon, Venus, Jupiter and Saturn. If you have never seen any of these through a telescope before, you will be blown away by your first magnified view of craters. Actually seeing Saturn's rings and being able to count Jupiter's brightest moon is awesome. Of course, you'll also be able to see many more stars than you knew existed. You'll even find that what looks like one star with your naked eye is actually two through the magnifying lens of your telescope. This is a lightweight scope, so is prone to being shaky on its stand (but there are ways of beating it). It is also incredibly cheap, so you might quickly decide you need more and better eyepieces. When you do, the AstroMaster accessory kit is a good choice. It gives you ​two extra lenses, a 2x Barlow lens and filters for better views of the moon and planets. The 70mm AstroMaster refractor has over 600 reviews on Amazon at the time of writing. Around 80% give it four or five stars and only 12% give less than 3. If you buy this model with your eyes open, i.e. understand its limitations, and it will give you a great introduction to the night sky... just don't be surprised if you're looking at this list in the not-too-distant future! With a 6mm (quarter inch) larger aperture, the Celestron 76mm EQ has a little more light gathering power than its refractor brother. Don't be fooled, though, at 3 inches, you are still only going to see the same things that the 70mm refractor will show you. So, why elect for the Newtonian reflector over the refractor? 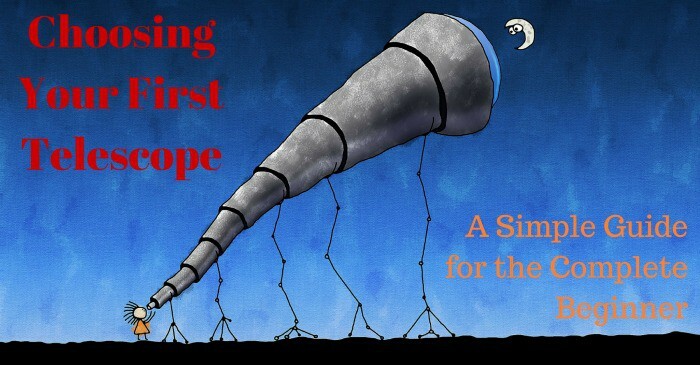 Well, it's a bit more 'realistic' as telescopes go, especially as they get bigger. This table about telescope prices shows that refractors, as they get bigger, very quickly become too expensive for the average person to buy.​ A lens of 3" with APO glass lenses (very high quality) can easily be over $500. Even a single lens, like that in the 70mm and 90mm AstroMasters, will cost you over $500 for an aperture bigger than 4 inches. As you move up the aperture size (to see more detail and fainter objects) most backyard astronomers choose a reflector - either a Newtonian or a Dobsonian​. By choosing a reflector as your first telescope, you'll get all the experience you need to stay with this style as you progress. Specifically, you'll learn to collimate the primary mirror and set up an equatorial mount. The Newtonian design has one other advantage over a refractor: they are shorter for the same focal length. For example, although both the AstroMaster 70mm refractor and 76mm reflector have the same focal length of 900mm, the reflector tube is ten inches shorter than the refractor's. This makes the reflector easier to transport, set up and store. As for price, the AstroMaster 76EQ is slightly more expensive than the 70AZ and the 70EQ, but only by $10-$20. If you suspect you'll want a bigger scope in the future, when experience and budgets allow, then we firmly recommend buying the AstroMaster 76EQ Newtonian reflector as your first. These AstroMasters have a 70mm (2.75") aperture for the refractor or 76mm (3") reflector. The refractor is either altazimuth or equatorial. The reflector is equatorial only. The 90mm AstroMasters, like the 70mm, above, are the same refractor scope. Your choice is to have it mounted on an altazimuth or equatorial stand. There's an overview of the difference between the two in the review for the 70mm AstroMaster (above). There, you'll discover why we recommend an equatorial stand for most buyers, even beginners. 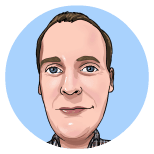 Ninety millimeters is approximately three and a half inches. This means it actually collects 65% more light than the 70mm option. Technically, 90mm is still a beginner's telescope, but you can have a lot more fun with it than the 70mm version. You can turn your scope towards Mars and see it as a disc (when it is near Earth, it's a tough see for even a big telescope when it's far away). Mercury is a good choice for you and even some of the brighter deep space objects come into play. If you invest in the 90mm AstroMaster (see prices here) then you should look towards the brightest objects in Messier's famous catalogue. Challenge yourself to see the Orion Nebula (M42), Andromeda Galaxy (M31) and M27, the Dumbbell nebula. In every amateur telescope, these only look like small, grey smudges (not NASA-style color images!) but you will be thrilled with yourself when you find them with your 90mm AstroMaster. All AstroMaster models are supplied with 20mm and 10mm eyepieces. On this 90mm model, these eyepieces provide you with 50x and 100x magnification. This feels sensible for a 3.5" scope, but you will benefit from additional lenses in the long run - just don't try to push this scope to 200x magnification, it's not up to that. Many new astronomers find the AstroMaster accessory kit a handy way to increase their options. It provides you with two additional lenses, a 2x Barlow lens and some filters to get better views of the moon and planets. This model is as long as 70mm version. Be prepared to handle and store a telescope tube which is ​36" (a yard) long. The upside of such a long telescope is it makes the 90mm AstroMaster a great telescope for kids. When the scope is pointing high up in the sky, the eyepiece is closer to the ground. Whilst this may be a problem for grown-ups, it's a distinct advantage if you're looking for the best telescope for children. We think the 90mm aperture is worth the extra $50 (or so) when compared to the 70mm model. You'll see so much more with it and, because of that, it will probably last you quite a bit longer before you need to 'upgrade' it. There is no reflector model at this size, so, if you want one larger than 70mm, then jump to the review below of the largest aperture AstroMasters, the 130mm EQ and 130mm EQ-MD. These AstroMaster refractors have a 90mm (3.5") aperture. Its focal length is 1000mm. This makes the focal ratio f/11. The 90mm comes with either an altazimuth or equatorial mount. At this point, it becomes prohibitively expensive to make decent glass lenses, so this model is a Newtonian reflector type only. Five inches is also the largest scope classed as 'beginner', which is why they are the largest that Celestron badges as AstroMasters. At 5 inches (sorry, 130mm) you are parting with around $250 (click here for the latest price) for a really great beginner's telescope. This is a good, wide-field telescope. This means you can see a wide part of the sky through the eyepiece, which is great for looking at the whole moon at once, or framing a beautiful sight like the Pleiades. The 130EQ is also large enough to allow decent magnification of the bright planets. The Moon will be splendid, and your 130mm mirror will show great surface detail (although upgrading the lenses and filters with the Celestron AstroMaster Accessory pack should make it even better). If you've read the reviews for the 70mm and 90mm models, you know you can see the rings of Saturn. However, Celestron's 130EQ will be big enough to show you the divisions between the rings with good seeing. You'll also be able to see the storm bands of Jupiter and the shadows of its brightest moons crossing the planet's surface. Venus and Mercury will present great crescent views to your eyepiece. It's possible too that you'll even tease some features out of the Martian surface when seeing is good. Overall, there is little that a beginner could want that will be 'off limits' if you buy the 130mm AstroMaster. This is exactly the same telescope as the 130EQ we discussed above. This is the only Celestron AstroMaster to be supplied with a tracking motor! ​When you find an object of interest, switch the tracking motor on. With the equatorial mount correctly set up, it will keep the object in the eyepiece without you having to track it by hand. Many astronomers use tracking functionality, and it's a must if you plan on astrophotography. However, the mount Celestron supplies with the AstroMaster 130EQ-MD is not robust enough to hold both the telescope and a DSLR camera at the same time. Put in a more blunt way - you aren't going to be doing astrophotography with this setup! For that reason, we recommend not getting the motorised version of this telescope and putting the money saved towards a planisphere or the Pocket Sky Atlas instead. The supplied 20mm and 10mm eyepieces will give you 33x and 65x magnification with this scope. This feels okay for a 5" scope, but its light gathering power should let you comfortably push it to 150x, or more. You might benefit from buying the AstroMaster accessory kit which includes a 2x Barlow lens. Combine this with the 10mm eyepiece supplied with the telescope, and you'll have 130x magnification. This will give you some stunning views of the moon's surface! The telescope tube is 24" long and, like all the other AstroMasters reviewed here, it's easy to set up and take down for transport and storage with no tools required. Its biggest weakness (as with all the AstroMasters) is a mount which is not great at dampening vibrations. But, there are some simple free and low-cost ways to improve stability. Other than that, we have no hesitation is recommending the Celestron AstroMaster 130EQ as the ideal beginner's telescope from Celestron. Expect to pay around $250-$280 new (click here for today's price). With 3.5x more light being collected, the 130EQ is going to give you so much more viewing pleasure than Celestron's 70mm AstroMaster. As a result, it is a lot more likely you'll becoming a dedicated, competent and rewarded backyard astronomer. This AstroMaster reflector has a 130mm (5") aperture. Its focal length is 650mm. This makes the focal ratio f/5. The 130mm comes supplied with a steel equatorial mount. The Celestron AstroMaster range of telescopes is a brilliant starting point for a new backyard astronomer. 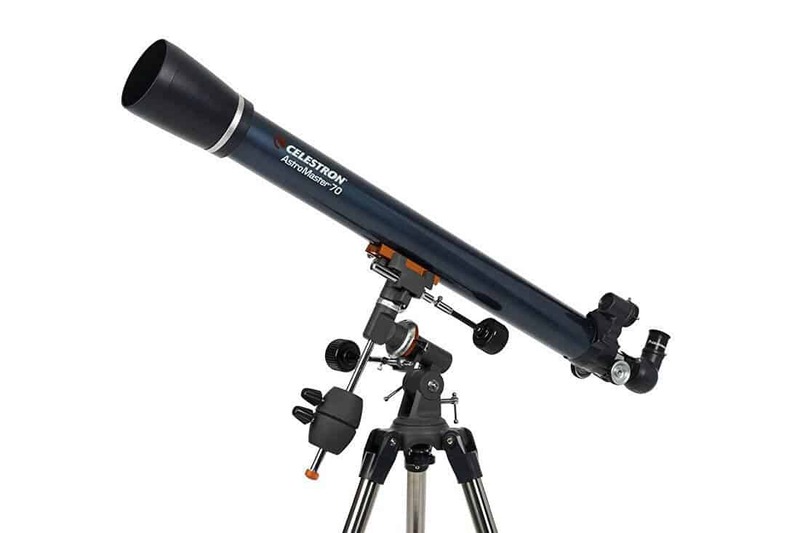 Because of their low price points, AstroMasters are also great telescopes for kids. The 70mm AZ is perhaps the ideal telescope for children because it is small, cheap and easy to use. More importantly than that, though, it will give your child ​their first views of the moon or Saturn. These are happy memories which will stay with them for many, many years to come. If the AstroMaster is for you, and you really want to get a feel for astronomy, then go in a bit higher than the 70mm model. We believe such a small aperture is only likely to disappoint you. The 90mm AZ and 90mm EQ models have 65% more light gathering power than the 70mm models. For a few tens of dollars, this will give you a much better experience. Finally, there is the 130mm EQ. Stay away from the MD model as we suspect you'll regret paying extra cash for a really cheap motor. However, if you have the budget, we strongly recommend the Celestron AstroMaster 130EQ​ as the best Celestron AstroMaster model. Its five-inch aperture will pull in so much light that you'll be able to see moon and planet details the smaller models can't hope to show you. The 130 EQ is the only model in the AstroMaster range which will let you see all the deep space objects in the Messier catalog, if your viewing site is dark enough.